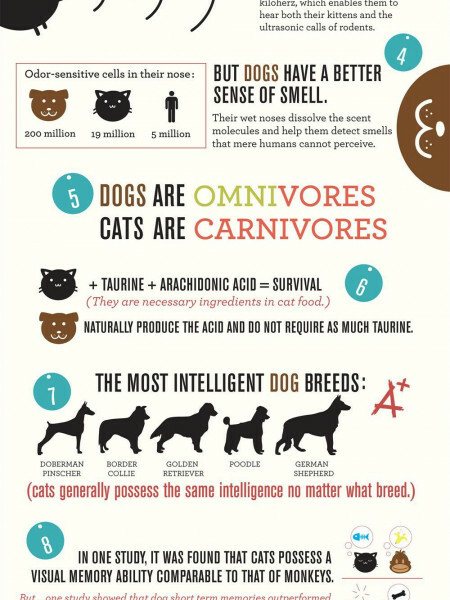 If you are wondering why dogs are the best, then you probably have not yet owned one! Of all the creatures of the earth I think that dogs are some of the most lovable and genuine animals on the planet. Dogs will take good care of you, they are the best comforters and protectors. Not only that, they are some of the cutest little fellows you can even lay your eyes on. ​For every preference you have, there's a different type of dog for it! Whether you like the big, small, fluffy, or thin, there's a dog just for you that you'll love like your best friend. Even each dog has its own unique personality, as some dogs are known to be gentle and others aggressive. Others are more carefree and just like to live life. Dogs are such cool animals, they won't hurt you unless they see a threat. They don't want any problems. A little comparison to show you why dogs are the best. You know how cats don’t really like being touched that much? Well, dogs love being touched! In fact, they like it so much they'll keep asking you to pet them more. If you try doing this to a cat too much, you may get clawed! But dogs never get annoyed by you. Every time you come home they will be right there to hop up and greet you at the door. They have been waiting all day for you to get back. Dogs can accompany you on any run or walk that you go on. They'll stick right by your side with their tongue hangin' out. Loyal dogs don't really need a leash, except for the occasional squirrel which they just have to chase. For that reason It is always wise to keep your dog on a leash, for their own safety. Sometimes they just can't help it. Dogs love to chase. Throw them a toy every once in a while and watch them lose themselves, marveling in amusement. A dog's food, unlike any other pet, can be anything from the kitchen table to actual dog f﻿ood bought from the pet store. Dogs love those treats. Feed them any delicious dinner from the table and they will thank you for it. Even for leftovers, dogs will be overly grateful. However, everyone knows this one rule,don't feed your dog any chocolate! Everyone knows that dogs cannot eat sugar. No, they wont be able to enjoy that slice of cake with you, but it's for their own good. Those cute little fellas. As you grow with your dog, you two will be inseparable. 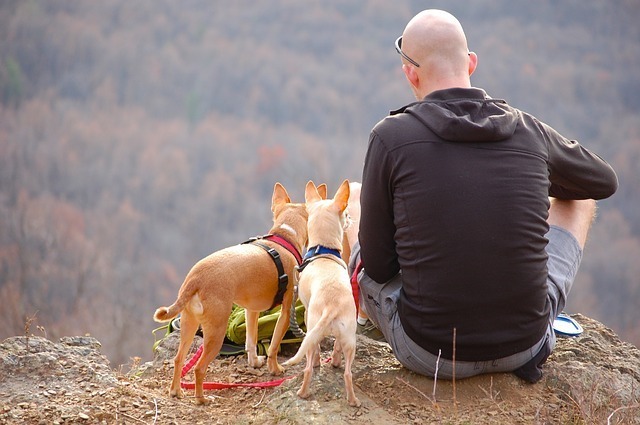 You will share many memories and special moments together by bring your dog camping. They are truly heartfelt animals with emotions to relate to you when you are happy, excited, sad, frustrated, or upset. When you have shared many times with your dog, you will get to know each other on a more personal level and can start taking car rides together. (If that's your thing, of course). Just letting you know that with a dog, you can be yourself. You will begin to let go of that stress, that little thing that’s been bothering you all day, when you just decide to give some attention to your dog. Hey, who doesn't love seeing that dog's head pop out of that car passing by? Why Are Dogs So Loyal To Those They Love The Most?